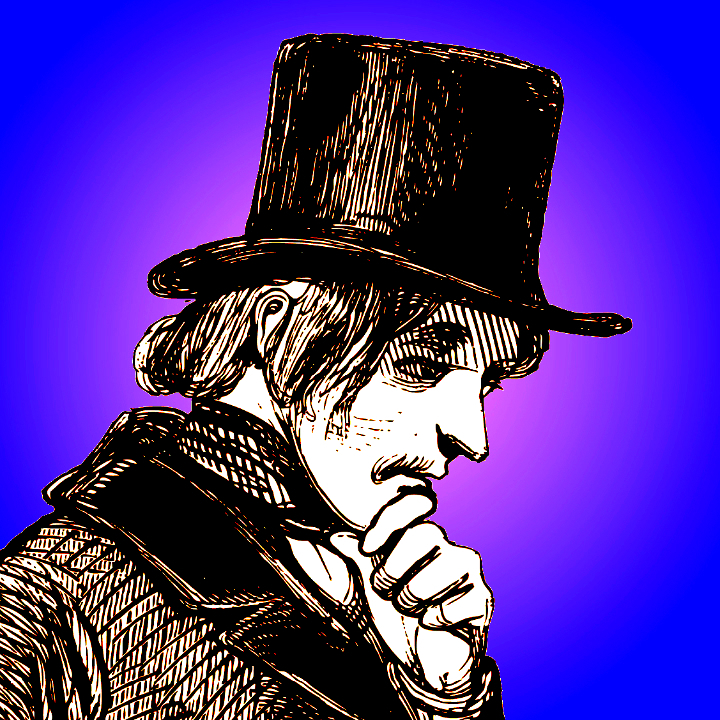 Readers of this blog with a keen eye for all things Dickensian will recall that the great writer’s ailing pet raven, Grip, was treated and quite possibly killed by a local veterinarian. He fed the wretched bird quantities of castor oil, which may well have hastened its end. However, we should not for that reason overlook the veterinarian, because he was really quite an interesting character. His name was William Herring—William Smart Herring in full—and what now follows is his story. Herring was the proprietor of a menagerie perched alongside the New—now the thunderous Euston—Road at 21 Quickset Row. Where an ultra-modern office complex now stands, there in March 1826 William Herring was busy buying and selling birds and animals, providing veterinary treatment for the stricken, and, in his newspaper advertisements, offering those that he could not cure the grim consolation of being preserved and stuffed so artfully as “to equal nature” or “to imitate life”. The New Road menagerie was an old wooden house with iron railings, through which the local children would peer at whatever was hopping or waddling about in the yard. It was cunningly located, at no great distance from the grand terraces of Regent’s Park to the west, or from the elegant Fitzroy Square to the south. It would have been passed by patrons of the nearby Fitzroy Baths searching for a cheering warm salt water or sulphur bath, or a teeth-clenchingly cold shower bath. Herring came of good working stock, his family having moved from Wiltshire to London, no doubt to exchange country poverty for the boundless scope of the capital. At some point he fell in with Edward Cross of Exeter Change fame―they ended up marrying two sisters―and possibly worked for him in some capacity. The New Road menagerie had originally belonged to Cross, and it may be that he entrusted care of it to his brother-in-law. He charged Herring a rent of five pounds a quarter, sold him stock and equipment, and made him the occasional loan of a few pounds. And there Herring prospered. His neighbours were craftsmen and tradesmen of every description, and the noises and smells of the menagerie would have blended happily with the clanking of the masons’ mallets and the stench of the animal glue from the scagliola works. He handled all manner of birds and animals for all manner of clients, maintaining a fleet of haulage caravans, and eventually even moving into a parallel market as an agent for the letting of country properties and the employment of gamekeepers. 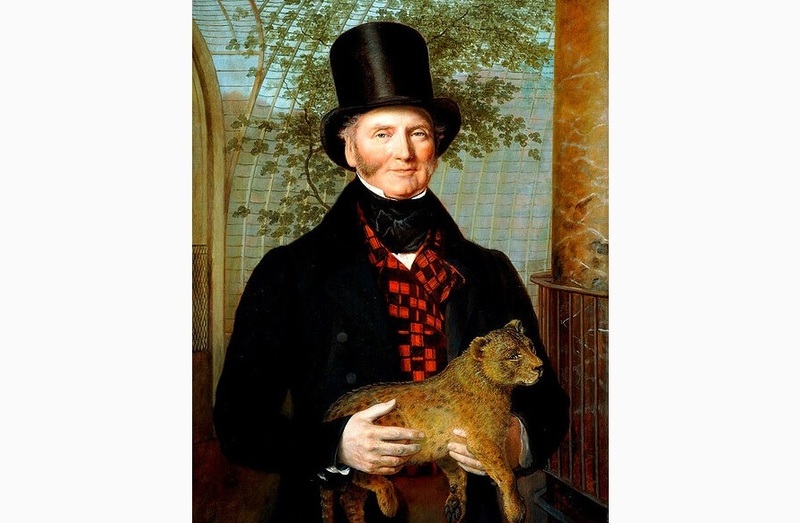 So much so that in 1838 he was able to settle up with Cross and buy the unexpired lease on the menagerie for the sum of one hundred pounds. Blood, as they say, is thicker than water. The killing of the stupendous elephant of Exeter Change. William Herring is the figure standing to the left of the soldiers and labelled “D”. Print dated 1826. The African Wild Cat or Felis silvestris cafra. Needless to say, this fellow was not photographed in the Euston Road. So much for Exeter Change. Meanwhile the New Road menagerie had its share of escapades. One night a little South African cat broke out, and, as it scuttled along the pavement, it was spotted by a rat-catcher by the name of Jack Black. Mistaking the fugitive for a species of rat, Black, a consummate professional, gave chase. Having caught it, he took it home. Somehow, though, the truth came out, and Black, losing interest, gave Herring back his cat. In 1835 Herring was awarded the status of Warrant Holder. He was now entitled to call himself an animal dealer “by appointment to His Majesty”―William IV―and to display the royal coat of arms on his vehicles. In fact he was not alone, and, when he collected his diploma from the palace, so too did a crowd of other tradesmen, one of whom, a printer, had the magnificently improbable name of John Shuttleworth Shuttleworth. Bible in hand Herring enunciated the oath, and pledged himself to serve the monarch as a Purveyor of Live Deer, Foreign Water Fowl, Swans and Fish. He received a further royal appointment from Queen Victoria in 1839, and it is intriguing to think that he might have been one of the convivial warrant holders who gathered together every year to celebrate Her birthday at the Freemasons’ Tavern in Great Queen Street. For a guinea he and his fellow tradesmen dined off venison from the royal herd, and raised their glasses in toast after toast. Herring would have had a lively tale or two―of an animal nature, of course―with which to entertain the company. The Freemasons’ Tavern by John Nixon. Watercolour dated c. 1800. But exactly how he came to the attention of the reigning monarch is something of a mystery. He might have been recommended by one of his noble clients, of whom his newspaper advertisements claimed there was no shortage. Or it may have been that Cross, who had corresponded with Windsor Castle on the subject of the new Surrey Zoological Gardens, secured him this prestigious patronage. However it came about, Herring made the most of his royal appointment, and he added suitable details to his newspaper advertisements, his business card, his letterhead and his invoices. Dickens certainly played along with him—he referred to him as a “medical gentleman who looks after the queen’s birds”—although it would be hard not to hear in this a touch of satire. Drawing of Grip in the Free Library of Philadelphia. Indeed, Dickens could not quite make up his mind about Herring. He was grateful for the fact that he broke the news of Grip’s death gently. But he poked fun at this “bird-fancier” in letters to friends, and jotted down snatches of his unschooled speech, which, like Topping’s, clearly amused him. When Grip took a turn for the worse, Herring confided in Dickens that “the jolliest queer start had taken place with that ’ere knowing card of a bird”. And when the raven died, and was replaced, he apparently opined that he “never see sich a thorough going, long-headed, deep, outdacious file” in all the years he had been practising his trade. One presumes that the “outdacious file” brought in to fill the vacuum left by Grip was in fact an “audacious fowl”. The satirising of poor Herring is quite a theme of the letters. Thus Dickens had Grip’s corpse removed to his “school of Anatomy” in the New Road to be stuffed. 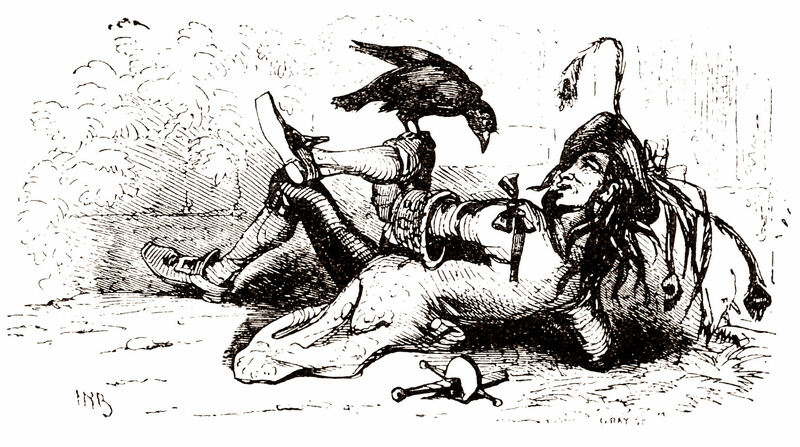 He must have thought that the West Countryman was amusing in a way: inclined to prattle on about the needs and habits of ravens, given the chance; rather rough at the edges, perhaps; and, well, a bit of a bumpkin. All Saints’ Church in Upper Norwood in 1871 by Camille Pissarro. Later we find traces of him in Norwood, which was then a corner of rural Surrey firmly outside the ambit of London. He bought a property with an expanse of enclosed land, in which he penned his latest―or largest―acquisitions before selling them on to other dealers or transporting them by caravan to the country seats of his wealthier clients. By all accounts the residents of what was a pretty part of the world bristled over the issue of noise, and shuddered at the thought of the latest escape along the hedgerows and the lanes. But if the name of Mr William Smart Herring was not spoken of with unqualified approval, he would hardly have minded, as he spent little time there in person, leaving the care of the animals to hired help. The house in Norwood was his repository, a warehouse of sorts. His shop-front―his flagship, his pride and joy, and the source of his success―was the menagerie at 21 Quickset Row. And yet what seemed like a life well lived was not untouched by sadness. There was some ill-feeling between Herring and his son Thomas, which has never been satisfactorily explained. But it came to the attention of the Marylebone police in 1844 when Thomas assaulted―or threatened to assault―his father. Worse was to come, though. 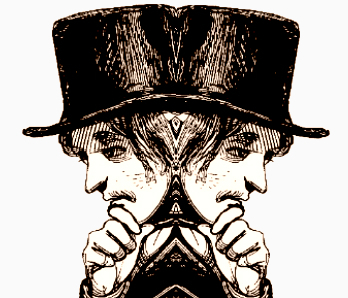 One winter’s evening in 1847 Thomas’s brother Edward, a young man in his late twenties, knocked down and killed a seven-year-old boy as he drove a chaise cart along a road in Hoxton. The courts decided that it had been a terrible, regrettable accident, even if Edward had been going full tilt, and even if there was more than a suspicion that he had been drinking. But the melancholy episode must have cast a shadow over William and his wife, Ann, for months and even years to come. And although there might have been other wholly unconnected reasons why he should do so, William eventually wrote Edward out of his will. My research for this post made use of a range of contemporary newspapers and archival materials. Have you anything further on Herring such as date of death, place of burial, etc.? Yes, happy to look – by all means send the text to [email protected]. I’ll see what else I have on Herring.